Few countries are as popular as Thailand these days for tourists and backpackers. The Land of Smiles has just about something for everybody to enjoy. With wonderful beaches in the South to cultural Hubs in the north, it’s a very diverse country geographically. Bangkok is a gritty yet attractive capital city. 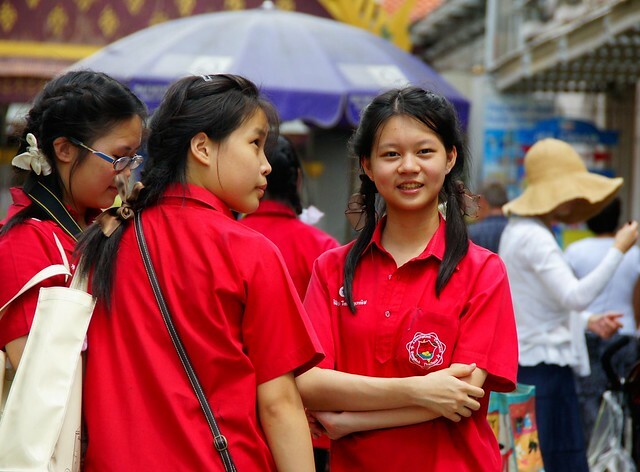 Thai people are known as being very friendly and hospitable. It’s no wonder travelers and teachers keep coming back for more time and again. Bangkok is a steamy, gritty and charming capital city with plenty to offer. 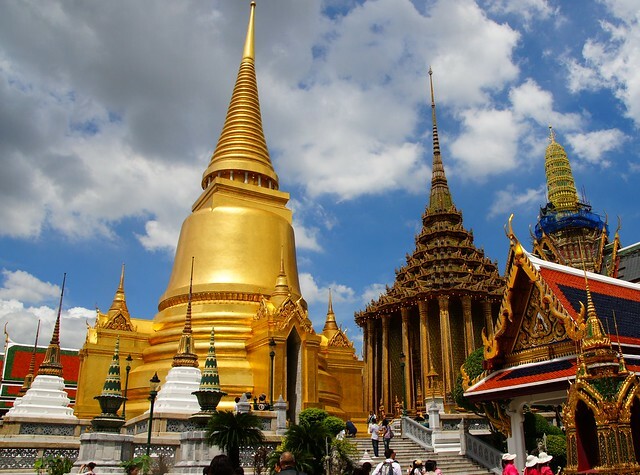 The Grand Palace near the infamous Khao San Road is a must see attraction. Taking a water taxi around Bangkok is another highly recommended activity. Night life is plentiful as this is a true 24 hours city. Heading to the north to visit Chiang Mai is a must. As the cultural HUB of Thailand, it offers a more relaxing pace of life than Bangkok and has more to offer culturally. Chiang Mai is a popular base for digital nomads and is also very attractive for English teachers. Heading to the south is a must for beach bums. Phuket is the most popular area, although it is very touristy. Many go to Ko Phi Phi as a day trip. Working conditions in Thailand vary widely. Teaching hours range from part-time to full-time but typically are between 18-24 hours per week. Most teaching contracts are for one year but shorter contracts are available. The hiring season is at its peak during May and October. One has the opportunity to tutor privately or earn overtime – typically at a rate of 300 to 700 Baht per hour. The ability to save in Thailand is not as good as in countries such as Korea or Japan but relative to locals you will be earning a generous salary. Accommodations are rarely included but renting your own place isn’t expensive. The absolute minimum requirements to teach in Thailand are a two year college diploma in tandem with a TESOL/TESL/TEFL certificate. Although some school will accept a two year college diploma, one can find better employment with a Bachelors Degree.